Author: Larbi Rabdi. Series edited by: Harry Stroomer. 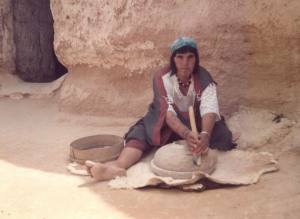 The present linguistic monograph of a berber dialect of eastern Kabylia (Algeria) is embedded into a detailed sociolinguistic analysis with special focus on those historical elements that lead to certain phonological and grammatical characteristics of this dialect. Hereby, the author follows André Martinet’s functional linguistic model. All important areas of language structure – phonetics, phonology, noun, verb, pronoun and adverb – are described with the help of examples and explained in the respective syntagmatic and paradigmatic context. 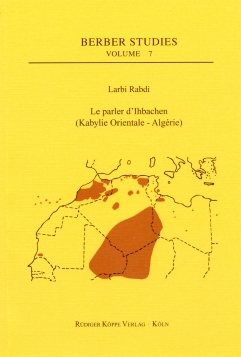 In the final chapter the author categorizes the dialect in respect to the neighbouring berber dialects. A detailed bibliography, which is arranged according to the subjects used in this book, finalizes the work. The book addresses linguists, berberologists, dialectologists and social linguists. Die vorliegende Monographie hat es sich u.a. zum Ziel gesetzt, der forschungsgeschichtlichen Konzentration auf die „Grand Kabylie“ entgegenzuwirken und in einer punktuellen Studie nicht nur Phonologie und Morphologie eines stark begrenzten Dialektes zu beleuchten, sondern auch diesen in seinem sozio-linguistischen Umfeld zu verorten.